A clairvoyant phone reading is an effective oracle in providing clarity and guidance to the questions we may have about our lives and the circumstances we find ourselves in. 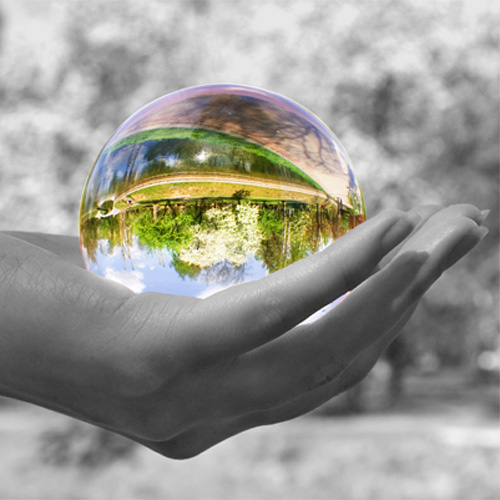 What is a Psychic Clairvoyant? When I look for clarity about my life or answers to important questions, I turn to the spiritual world. There is much that we do not know about the spiritual energies around us, other than that some people are very in tune with these realms. Clairvoyants are a group of people who can intuit images, symbols, and other valuable information to help send messages from beyond what we can understand. Clairvoyance means clear sight- people with this gift can see images or experience visions that they relay to another person. These images, colors, objects, or other visual representations can be interpreted by the clairvoyant to mean certain events or situations that may have meaning for the person getting the reading. The message may not always seem clear, but there are many benefits for people who seek a true clairvoyant reading. For me, getting a clairvoyant reading can reaffirm something I thought to be true, point me in a new direction, or allow me to think about events in my life in a new light. Working with a true clairvoyant can additionally allow me to see things that my subconscious mind knew, but that I had not yet absorbed consciously. Clairvoyance shouldn’t be confused with being a psychic, although some psychics are clairvoyant as well. This ability is also known as the sixth sense or the third eye, and refers to a heightened sense of intuition and the ability to see images or symbols clearly. This third eye is the psychic chakra and can be used to bring someone guidance, clarity, or answers to questions they may have. Images are brought together by the clairvoyant and interpreted to shed light on past, present, or future events. Although clairvoyance isn’t the same as being able to predict the future, sometimes past events are structurally important to understanding what may be happening in the present and what could be in the future. Some clairvoyants use spirit guides or their unique connection to the universal energy to conduct a reading. Clairvoyants can connect to an individual’s spirit guide, which gives them the ability to obtain more information about that person. Clairvoyants are often able to read the auras of the people and objects around them. Auras come in a variety of colors and strengths that can be used to pinpoint good energies, bad energies, along with things that may be beneficial or harmful to you.